Smith first worked within Matchroom as a 14-year-old on work experience, and started full time in September 2008 after he left school. 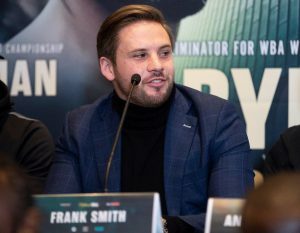 Having worked across many of the sports that Matchroom promote, Smith joined the Boxing department full-time in 2011 and worked his way through the ranks to assume the post of CEO in April 2018. Smith was appointed to the main board of the group’s parent company, Matchroom Sport, in December 2018.